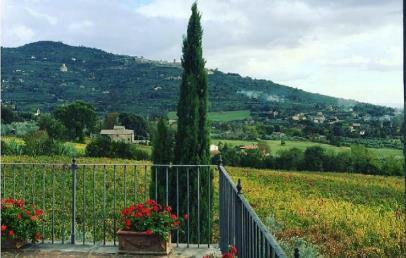 The Relais Chateaux Il Falconiere & Spa is surrounded by olive trees and vineyards in the heart of the Tuscan countryside, up a hill and 3 km of the Cortona. 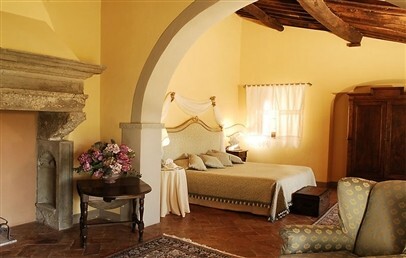 Splendid seventeenth-century mansion wisely restored, owned since 1860 by the Baracchi family, reflects the simple and refined style of the ancient Tuscan residences with its antiques, frescoes on the walls, hand-made fabrics and wrought iron beds. Il Falconiere & Spa welcomes the little four-legged friends with a special kit for dogs. 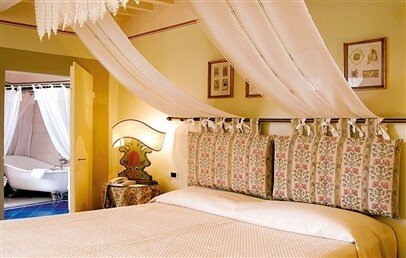 The 22 rooms, elegantly furnished according to the regional style, overlook the lush countryside of Cortona. Some are located in the Villa, some are adjacent to the Chapel, and others in the Cottage, and offer their guests the most modern comforts. 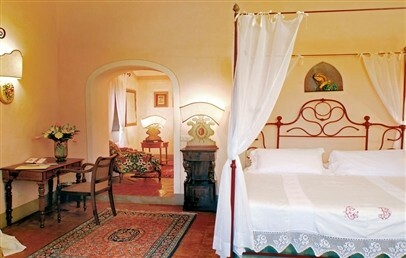 Classic rooms are simple and refined, overlooking the garden or the hills. On request, they can accommodate a third person. 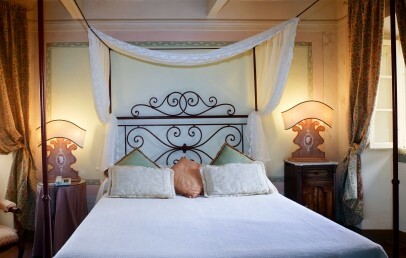 The Deluxe rooms are in two different sides of the Relais; have a living corner. 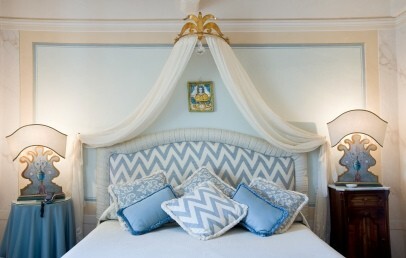 Each of the Junior Suites have a unique and special decor, all have the bedroom, a living room. From the garden with a sun terrace there is a direct access to the Suites, with a bedroom, separate living room and two bathrooms, one with Jacuzzi. 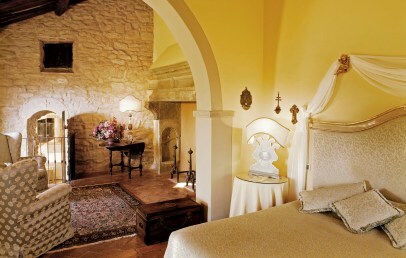 The most exclusive Suite are the Executive Suite and the Winery Master Suite. Surrounded by the beauty of nature, the Thesan Etruscan Spa becomes a timeless place where you will find yourself back and then get lost between massages, beauty treatments, baths and well-being paths. Assistants and experts of the wellness, will advise and guide you on this journey, according to your particular needs and inclinations. Each adult has free access to the Spa with the use of the Wet Area including steam room, sauna, chromotherapy shower and hydromassage pool with chromotherapy and relax area. A kit with bathrobe, towels, spa slippers is included. The restaurant staff, proud of 1 Michelin Star, obtained from the ancient lemon house will be happy to make its guests enjoy the best of traditional Tuscan cuisine, deeply tied to the land and its traditions, with dishes prepared with only fresh and genuine products. Guests are welcomed in this journey at the discover of the flavours of Tuscany in three delightful rooms: the first and largest, called "La Limonaia" can accommodate up to 60 people and the other, "the Hall of Clocks" (Sala degli Orologi), with a single table, and the third, more intimate, with only 5 tables. During warm periods, the splendid panoramic terrace will receive guests for romantic dinners by candlelight. The dishes will be accompanied by fine wines, among which are also those produced by the same winery of the Baracchi family. Guests can relax with a drink by the pool, the terrace or in the garden, enjoying the tranquillity of the countryside, in harmony with the surrounding nature and far from everyday stress. A stroll through the vineyards followed by a wine tasting is a great way to meet more closely the secrets of this earth; it is possible to participate to the tour of the vineyards of the area lasting six days. Relais Chateaux Il Falconiere & Spa offers nature walks, visits to local markets, sports activities in the nearby village. The cooking lessons will help to better understand and appreciate local products, which are a basic aspect of local tradition. The City Tax is € 3.00 per adult/overnight, valid during high season; € 1.50 per adult/overnight, valid in low season; up to a max. of 4 overnights. The tax has to be paid on-site. 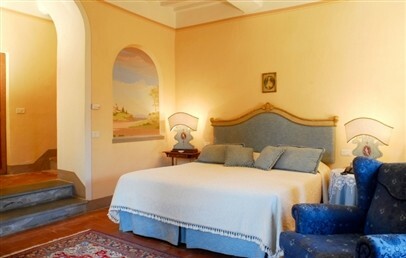 Minimal and romantic double bedroom resembling, in colors and furnishings, the style of Tuscany noble houses. It is equipped with wardrobe, desk and all the modern comforts. The bathroom has a shower and hairdryer. 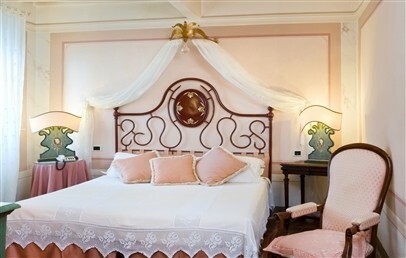 Classic rooms have a view over the beautiful garden surrounding the Relais or over the green valleys. Possibility to add a baby cot for children up to 2 years (on request, subject to confirmation of the hotel). Welcome & Amenities: complimentary minibar, sweet home-made cookies, bottle of water. 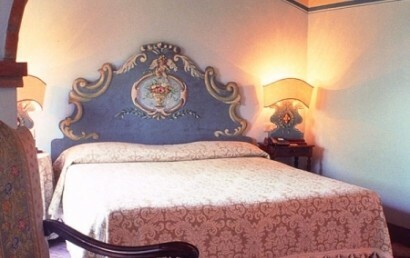 One of the two double room is located near the main building with a relaxing view over the valley, the other one has an independent entrance on the garden and it is located beside the Church and very near to the restaurant and the SPA. 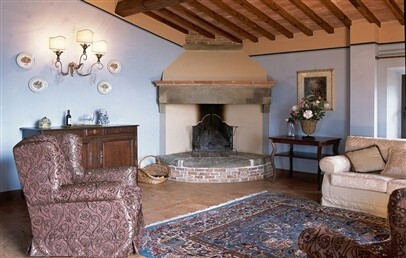 Both have a wardrobe, desk and a cosy living room, they have the typical noble Tuscany House style. The bathroom has a shower, hairdryer and courtesy set. The Junior Suites are unique, different from one another in small but fine details. They are located in the farmhouse near the church or the SPA. They are all furnished in the traditional style of the noble Tuscany houses and they consist of a wide bedroom and a living room. The bathroom has a shower, hairdryer, courtesy set. The Junior Suites have a lovely view over the garden or the valley. Welcome & Amenities: complimentary minibar, sweet home-made cookies, seasonal fruit selection, newspaper, pillows menu, bottle of water. 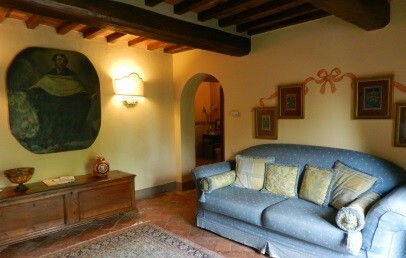 Spacious and elegant Suites furnished in the typical style of the Tuscany noble houses. They have a spacious bedroom and a cosy living room. The bathroom is equipped with a shower, hairdryer, courtesy set. The Suites are perfect for those who desire an absolute privacy: they have a private entrance, a private sunbathing area and a magnificent view over the Valdichiana and Cortona. Welcome & Amenities: complimentary minibar, home-made “Cantucci”, seasonal fruit selection, bottle of wine of own production, newspaper, pillows menu, room perfume SMN. 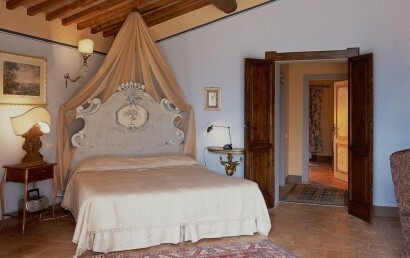 Spacious and elegant Executive Suite furnished in the typical style of the Tuscany noble houses. It offers a spacious bedroom and a living room. It has two bathrooms, one with a whirlpool and the other with a shower, hairdryer, courtesy set. The Suite is a perfect accommodation for those who desire a privacy and harmony with magnificent view over the Valdichiana and Cortona. Welcome & Amenities: complimentary minibar, home-made “Cantucci”, seasonal fruit selection, bottle of wine Metodo Classico, newspaper, bottle of water, room perfume SMN. 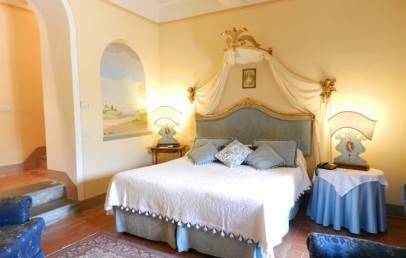 Master Suite of the Relais, a real jewel with fantastic view over the entire valley. It offers two bathrooms with shower and tub. Welcome & Amenities: complimentary minibar, home-made “Cantucci”, seasonal fruit selection, bottle of wine Metodo Classico, newspaper, pillows menu, room perfume SMN. Welcome & Amenities: complimentary minibar (soft drinks), sweet home-made cookies, bottle of water.